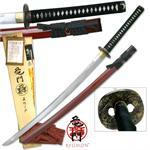 If you have a budget from $175 - $500 then Ryumon samurai swords are definitely a high quality forge you should consider. Every one of their blades is handmade to perfection. 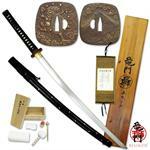 You can immediately see the quality of work, attention to detail, and the time that has been spent forging each blade. 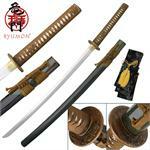 They use high quality steel and fittings to create a katana that will impress even the most meticulous swordsman. 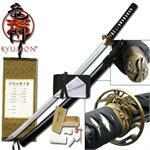 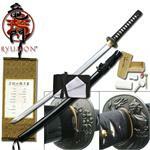 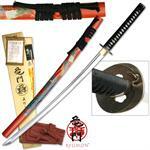 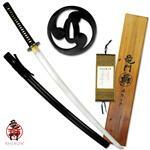 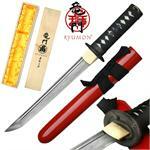 Ryumon Japanese Swords and Samurai Swords - Ryumon Swords are handmade in the Longquan forge in china. 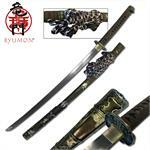 For more than 2600 years, the "City of Treasure Sword", Longquan, has been known for making the best swords in the world. 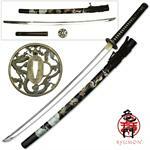 Located within the border of South Zhejiang, China and under the Fengyang mountain, Longquan is rich in resources that are perfect for making exceptional Swords. 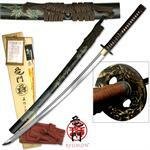 During the peroid of the Warring states (770-476 B.C.) 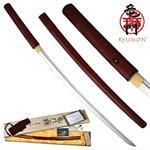 a famous sword maker named Ou Yezi created the most renowned sword in Longquan. 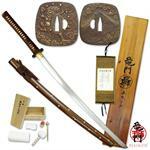 Since then, the secret arts of hand crafting folded Samurai swords have been passed down from generation to generation. 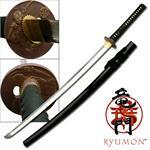 Ryumon Swords are hand Forged and by master craftsman with years of experience from Longquan. 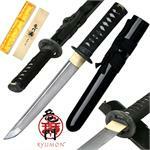 These master sword smiths combine modern knowledge with traditional secrets to produce superior quality handmade Samurai Swords with enhanced durability, sharpness, and exquisite craftsmanship. 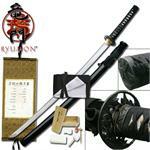 Each Ryumon Sword is a fully functional, battle ready Samurai Sword. 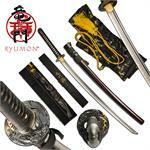 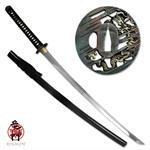 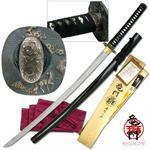 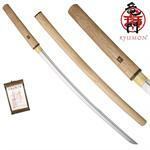 We carry the complete line of Ryumon Swords, and it is easy to see why.